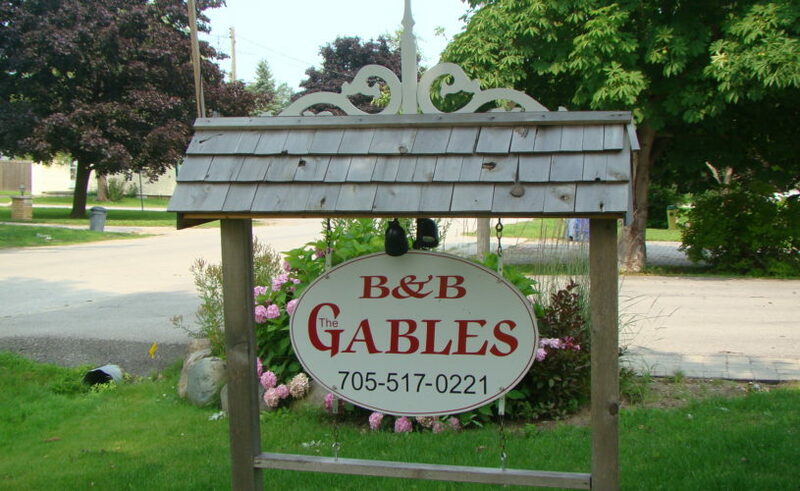 The Gables Bed and Breakfast is conveniently located near Collingwood and Wasaga Beach, just 15 mintues away! 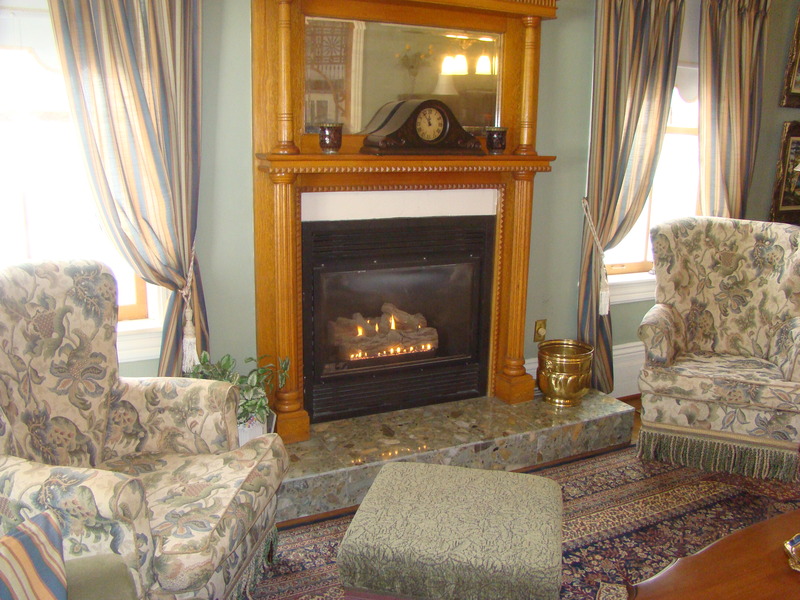 The Gables is known for providing a wonderful personalized experiences to it's guests. 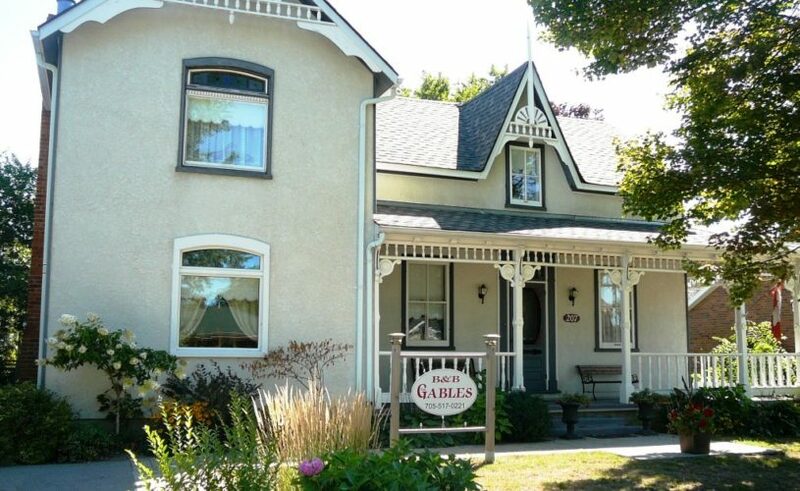 Whether you're in town to enjoy the many local attractions, visit family or for a simple getaway, the Gables is an excellent choice. 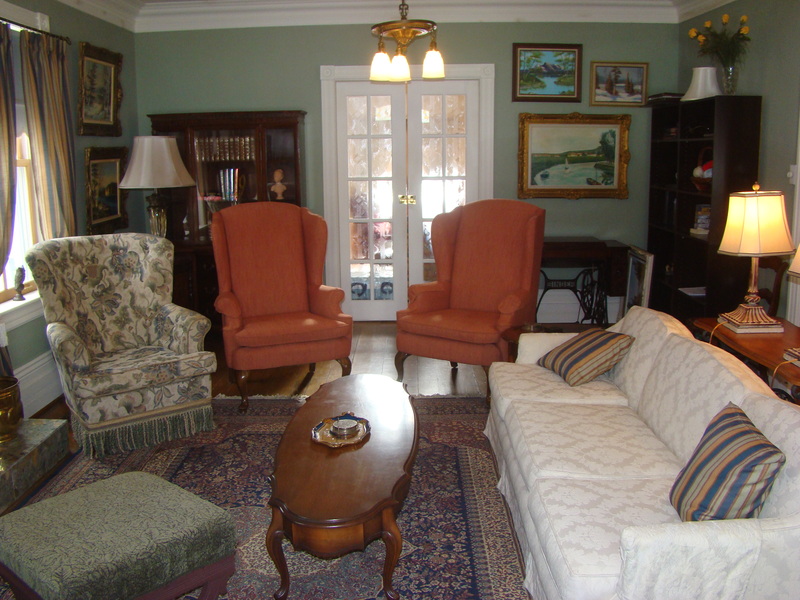 Your stay in this beautiful century home is sure to be a memorable one. 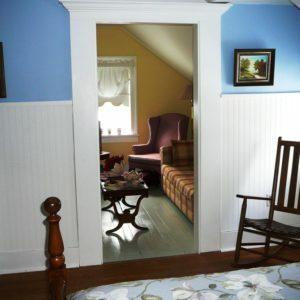 Choose from one of three well appointed guest rooms each with their own vintage inspired decor and private bathroom. 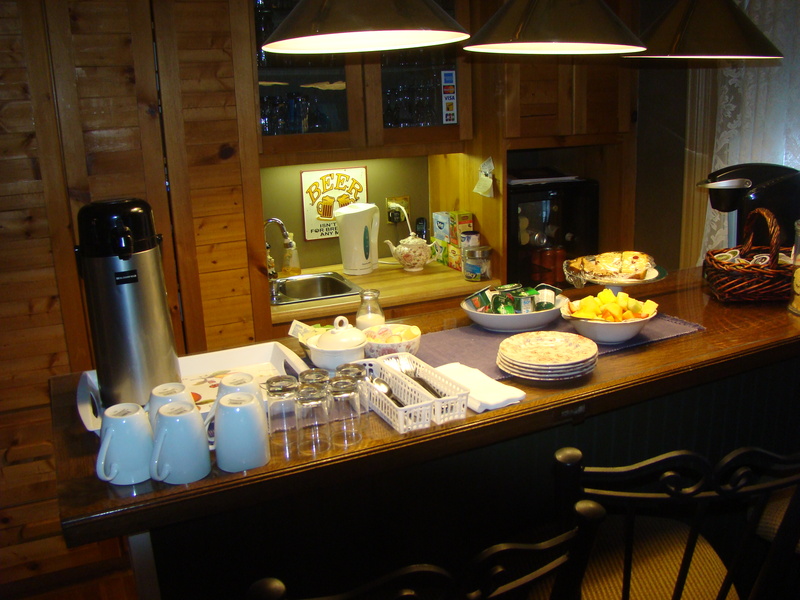 In the morning, enjoy a hot homemade breakfast made just for you! 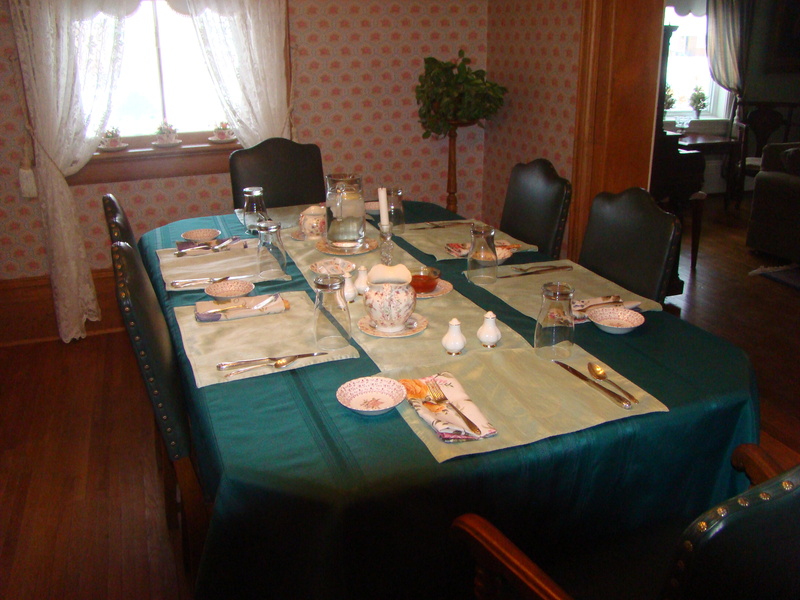 Probably one of the most anticipated features of staying at a B & B is of course, breakfast. 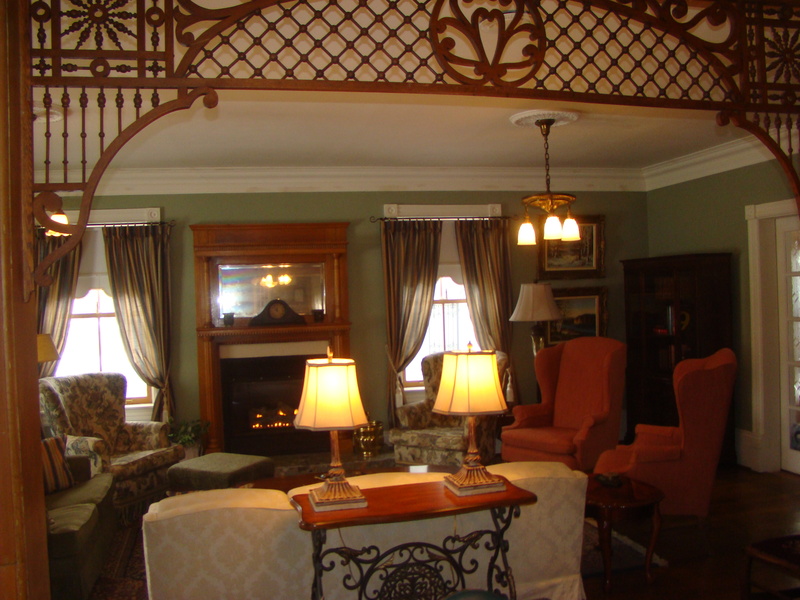 At the Gables you won't be disappointed! Expect to wake up to the aroma of fresh brewed coffee and homemade baked treats offered with a selection of yogurt, fresh fruit and juices. 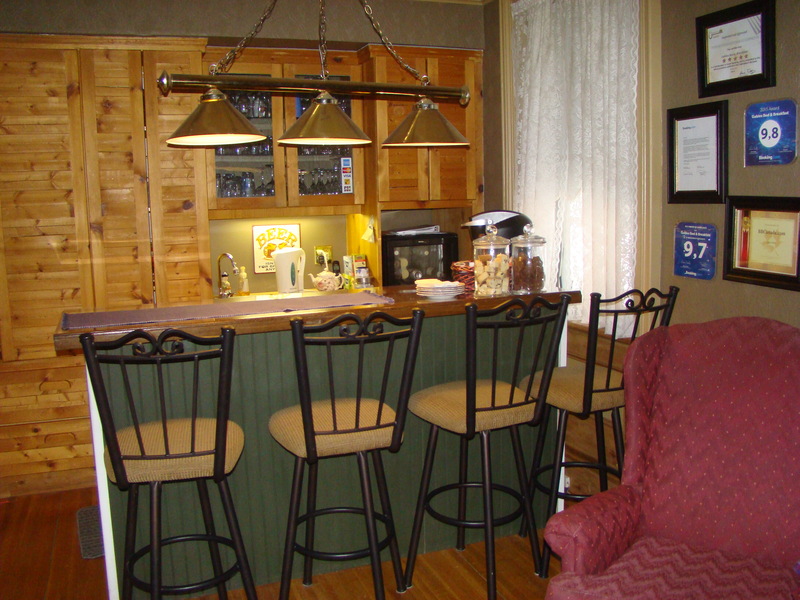 Be sure to leave room for an expertly prepared hot breakfast that will be sure to dazzle your senses using as much local and homemade ingredients as possible. Breakfast is served daily at 9:00am. 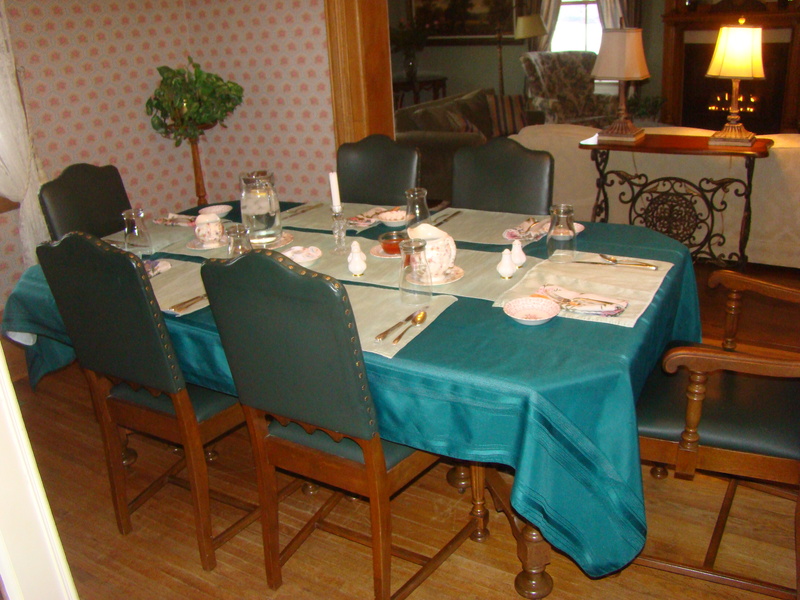 Dietary restrictions can easily be accommodated, but please let your hosts know in advance. 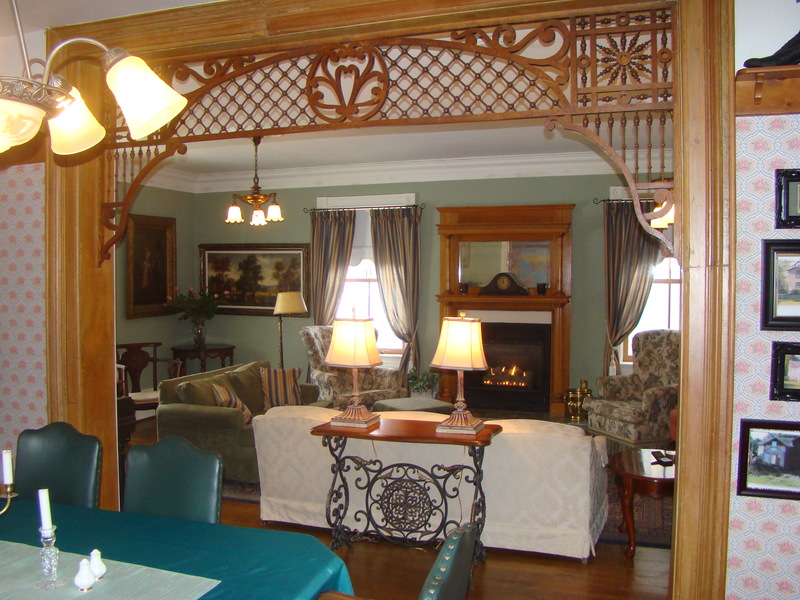 Built in 1875 will greet you with its original charm. 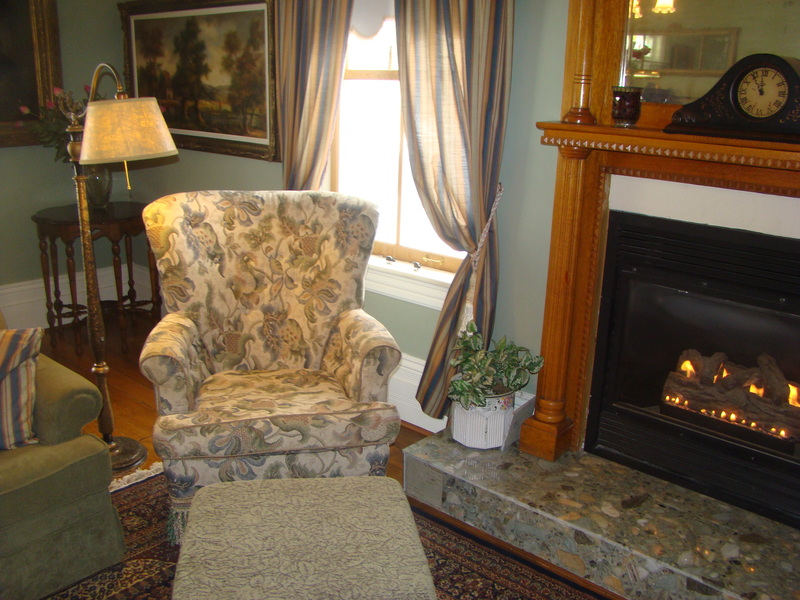 Two fireplaces invite you to explore the antiques or relax with a glass of wine. Make yourself at home! 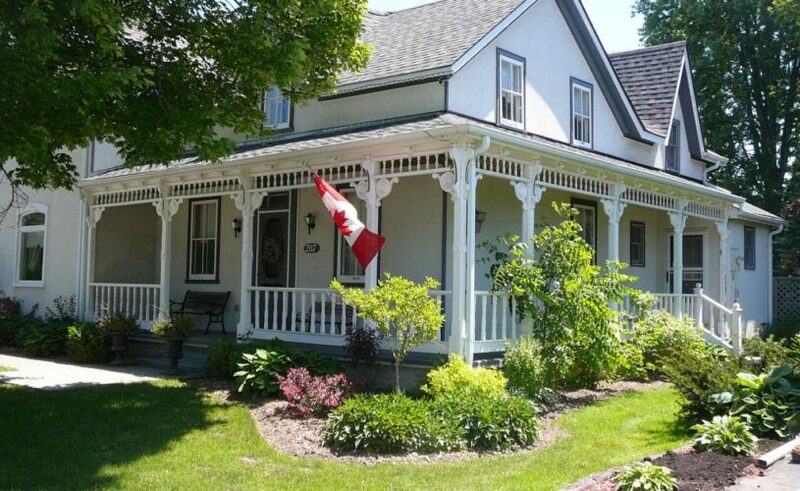 Wander the gardens, enjoy the outdoor hot tub or take a walk through the quaint Town of Stayner. 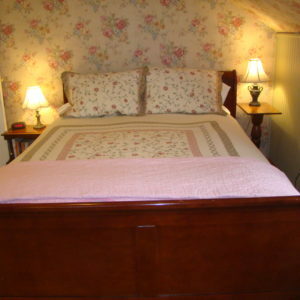 "You will love this B & B." Quiet, quaint, clean! 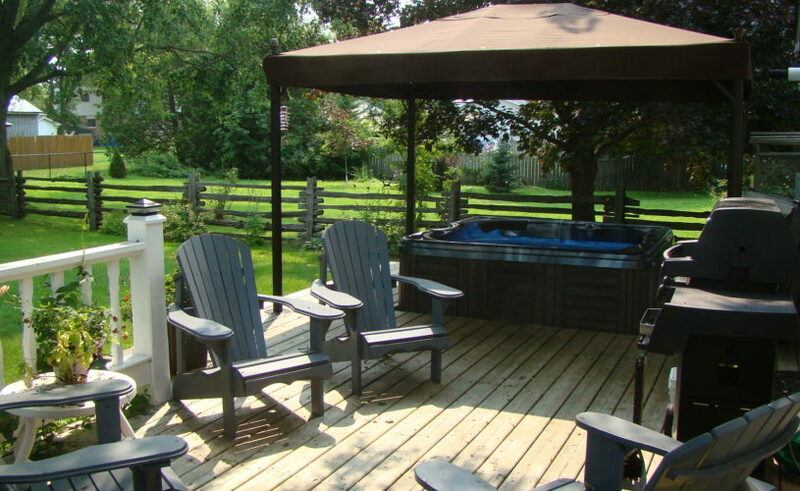 Very friendly hosts, delicious breakfast, wonderful hot tub for guests to use. 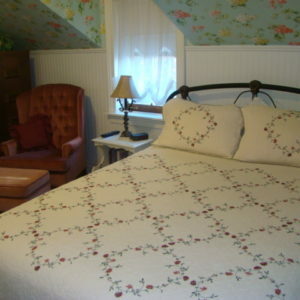 I would highly recommend this place if you enjoy B&B's. Home away from home.We arrived on a motorcycle and the owner made room for us to park in his garage. Close to downtown for lovely walking. "A cozy place!" We were here for the Labor weekend and enjoyed it very much. Lois and Bill were very nice and attentive with us. The breakfast was yummy and Lois even has her own ketchup made too. 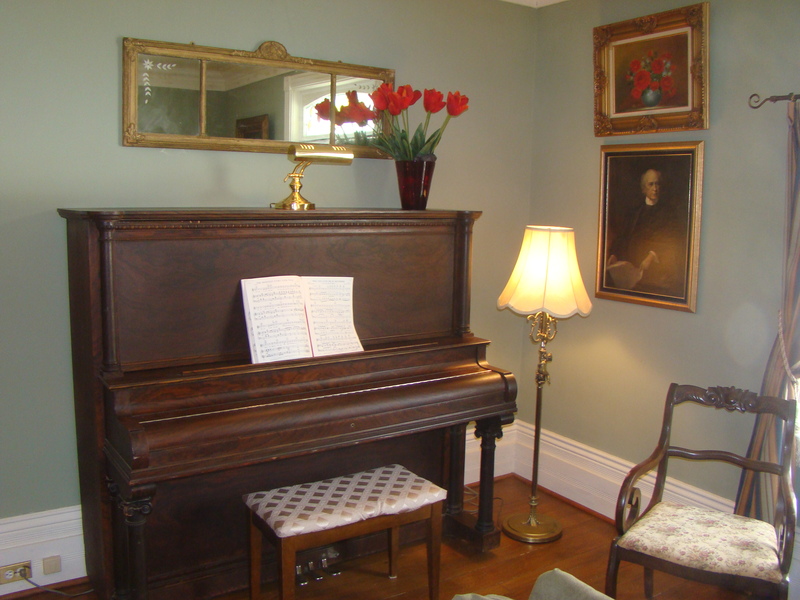 And the vintage décor was so nice to experience. We loved it! 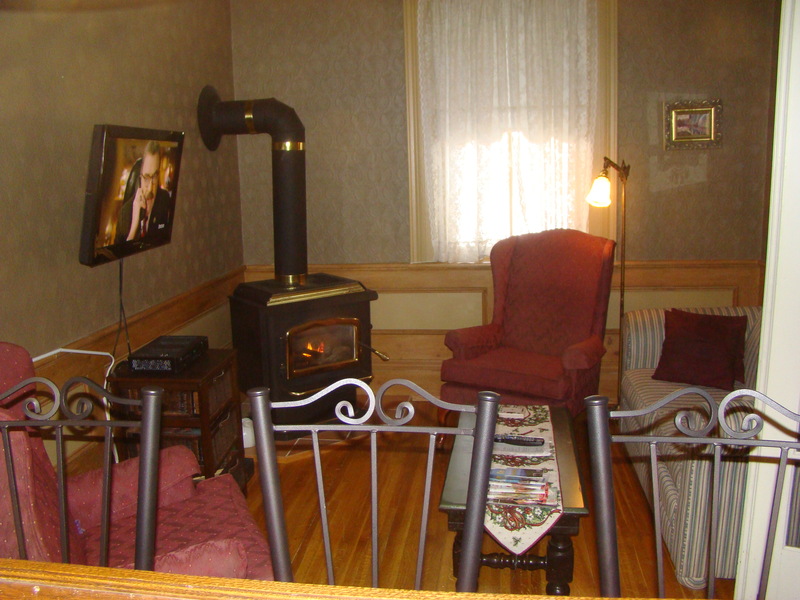 "Cozy and very comfortable b & b" Stayed this summer and it was very comfortable and cozy. Bill and Lois are helpful and ready to provide information. 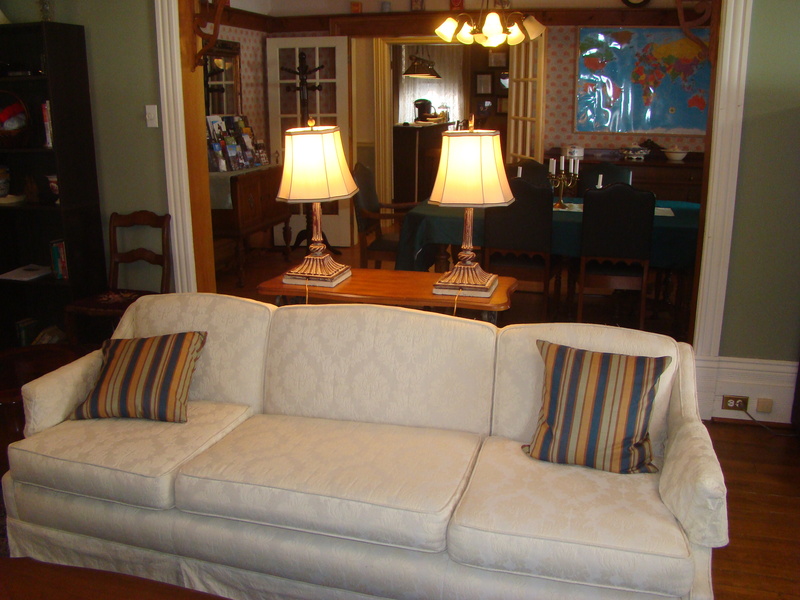 Fantastic breakfast, comfortable 100 year old beautifully redone home! Nice conversation, friendly couple who love what they do! 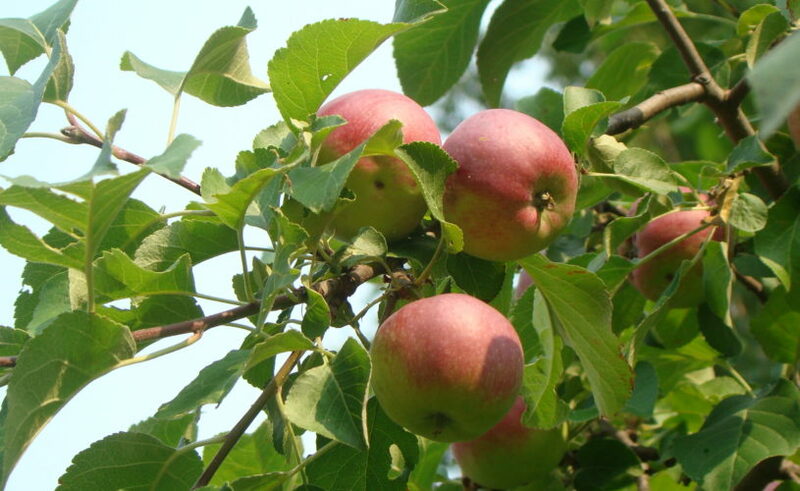 "Cannot wait to visit again" I enjoyed the pleasant warm welcome I received. 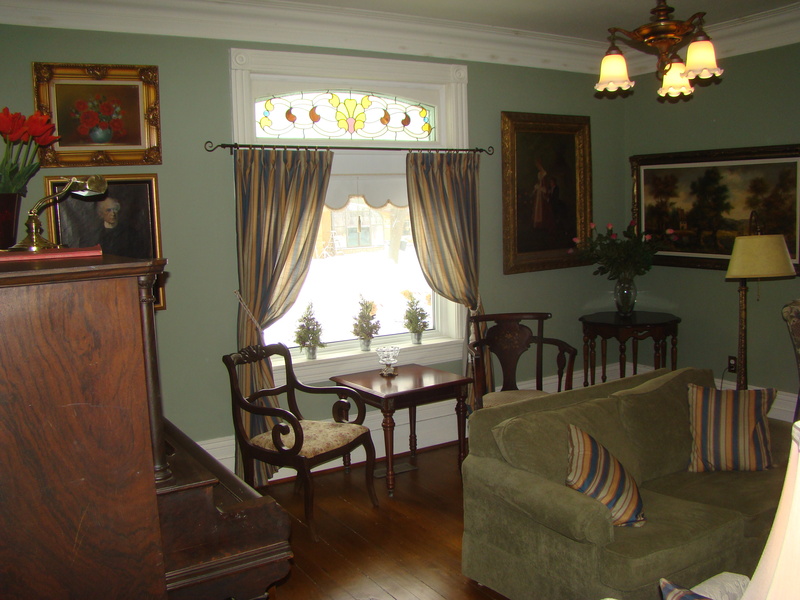 The rooms were a good size, very well kept establishment. My breakfasts were amazing, everything was fresh and very tasty. Ps. 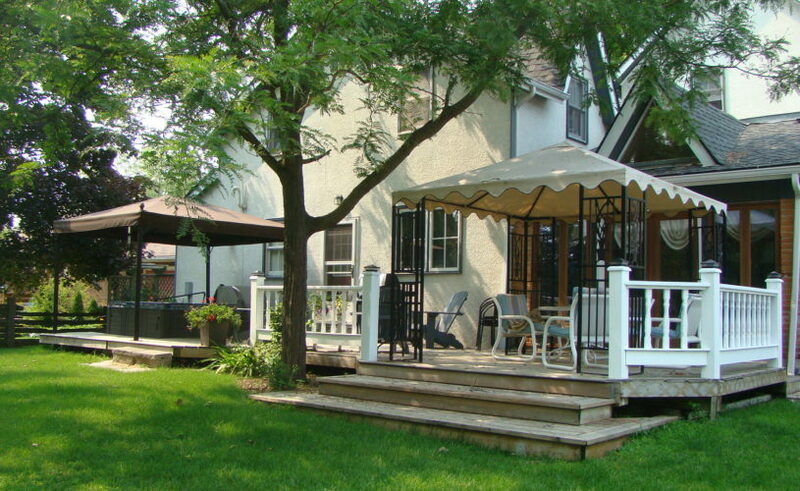 I look forward to my next visit just for the amazing breakfast and wonderful conversation with Bill and Lois.